Elon Reeve Musk, founder of PayPal, Space X and Tesla Motors has emerged as a celebrity entrepreneur and businessman. Elon Musk was born to Canadian mother and South African father in Pretoria, South Africa on 28 June, 1973. Musk was a chronic day dreamer, who used to get lost in his imagination. He loved science fiction books. His parents thought that he was deaf and forced him to have a surgery when he stopped responding well because of his day dreaming. Reeve Musk was badly bullied at school by a gang of students. Once they threw him down the stairs and beat him untill he got unconscious. His father could barely recognise his face. Elon used to escape in books. The “Hitchhiker Guide to Galaxy” was life changing book for him. This book made him think deeply about space, technology and impact one person can have on world. His parents divorced when he was just 10 years old. He started spending time on computer and created a vedio game called ‘Blastar’ when he was just 12 yeras old. The game was about rocket ships in outer space. He moved to Canada against his parents wish to avoid mandatory military service in South Africa. There he worked in a boiler room of a lumber mill. where he used to crawl into small dark tunnels and spend days shovelling hit sand residue. He enrolled himself in Queens University in 1990. He studied business and physics from University of Pennsylvania. Thereafter, went to Stanford University to pursue PhD in energy physics but dropped out in just 2 days. In 1999, he co-founded X.com ( online financial service company) which later became PayPal. Which was later acquired by eBay for $1.5 billion. After selling his 2 companies, he founded SpaceX (Space Exploration Technology Corporation) with a small budget, in 2002. Their first test in 2006 was a failure. There was more set backs, failure and explosion. But he finally succeeded and NASA agreed to deal with organisation. Elon Musk co-founded Tesla Motors in 2004, to make affordable electric cars, battery products and solar roofs. The company kept extending its product line by launching sports cars and semi truck. In 2016, the company merged with Solar City which was second largest provider of solar power in United States. Tesla Motors was a great success because of Elon’s extraordinary design and vision. The company reached value of $650 billion in 2018. Forbes listed Musk as one of the Most powerful America’s CEOs, 40’s and under in 2011. In 2013, the entrepreneur and CEO of Tesla Motors and spaceX introduced a new idea for another type of high speed transportation system called “Hyperloop” to cut travel time and cost. In 2017, he got government approval to build Hyperloop from New York to Washington DC. 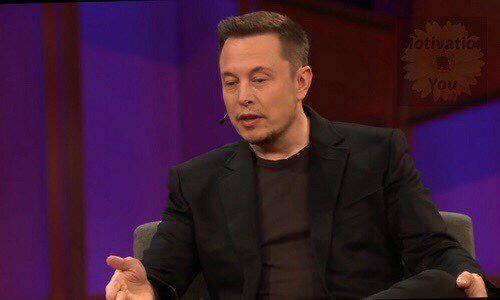 Musk founded non profit organisation called “OpenAI” in 2015, Artificial Intelligence research company, to minimise danger of Artificial Intelligence. In 2016, Elon co-founded Neuralink, a neuro technology start up to integrate Artificial Intelligence with human brain. He was ranked 21’st for The world’s most powerful people by Forbes in the same year. In July 2016, Elon launched a new company, named “The Boring Company”. An infrastructure and tunnel construction company to cut traffic. The millionaire also played advisory role in early days of president Donald Trump’s administration. He was named to president’s Strategy and Policy Forum. Elon Musk is chairman of Musk Foundation, which focus it’s philanthropic efforts on providing solar power energy systems in disaster areas. In 2018, the businessman announced on Twitter about a new comic media venture “Thud”. The multimillionaire is married thrice and has 6 children. He wedded same women twice.